Do you want to play the FREE Online Chinese Chess? Just install now! Free Chinese Chess Online will give you the better relaxation with your partner in the game. You can also play the interesting online matches. 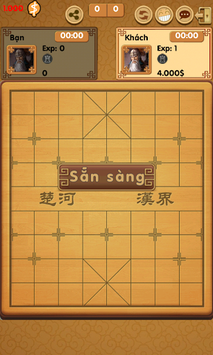 Chinese Chess is the most famous classic game for Android. There are both online and offline mode for player when playing the game. The user interface is simple and helpful. 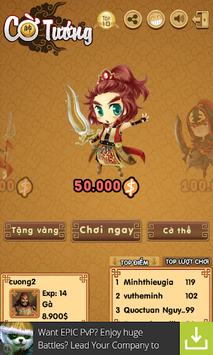 Let's join the Fan page at www.fb.com/gamecotuongonline to update more information. 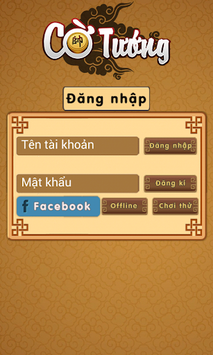 You can also talk with more than 3500 friends here. Thank you for playing the game. Enjoy it!